Over the course of the industrialization in the 19th century, Chemnitz had developed into an important economic center. 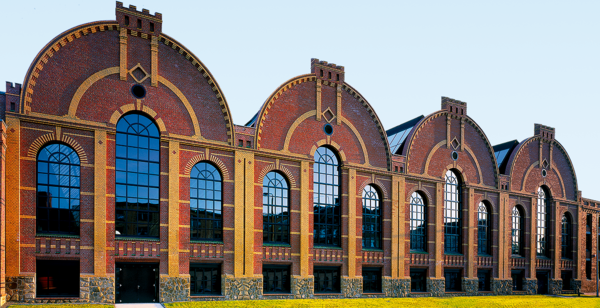 So, several factory buildings were erected more than 100 years ago to house a big foundry on the territory of today’s Museum of Industry in Chemnitz. The museum bears witness to a rich industrial history, depicting courageous entrepreneurs, creative minds and Saxon daily life. Our specific aim has been to restore historic machines to become fully operational again and present them to our visitors. One highlight in the restored machine hall, for instance, is our single cylinder back-pressure steam engine built in 1896, reminding us of the period of prosperity when the company was founded.